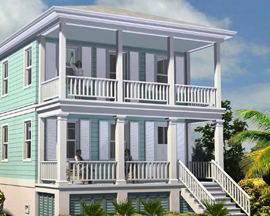 The Charleston - With its stacked front porches, this home evokes the charm of the South. From its massive 25’ wide great room, to the large and flexible dining area and its open kitchen layout this home is perfect for casual living. A flexible den or 5th bedroom completes the first floor layout. 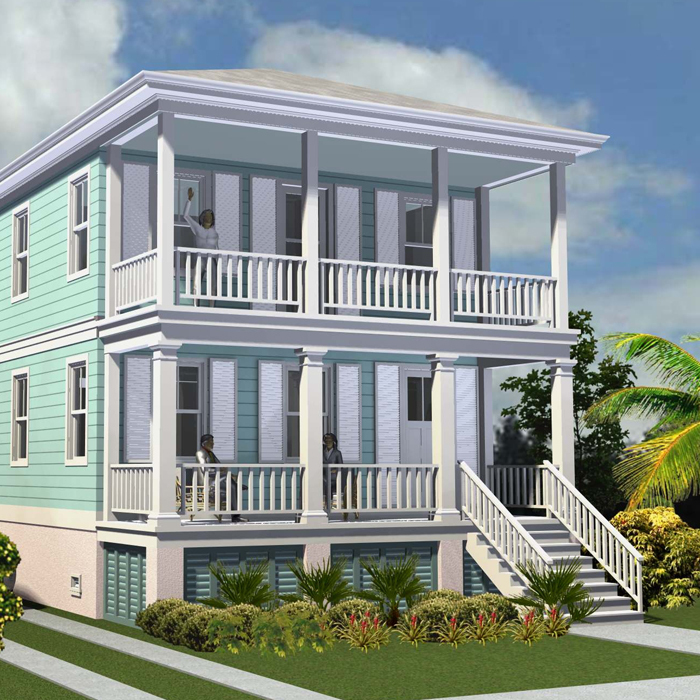 Upstairs, there are 4 additional bedrooms and two full bathrooms, large enough for even the biggest extended families. This home will fit on most 40 and 50 foot wide lots and can be modified for both A and V flood zones.